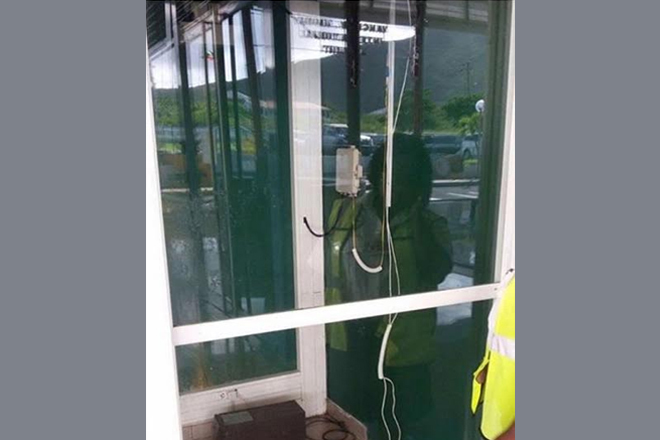 (ZIZ News) — Police are investigating the theft of an automated teller machine from the Vance W. Amory International Airport in Nevis, earlier this week. The theft reportedly occurred on Tuesday night but wasn’t discovered until Wednesday. Images circulating on social media show the empty cabinet and wires dangling from where the ATM was attached to the wall. The police say no-one is in custody as yet but the investigation is ongoing. Meanwhile, police are also investigating a report of malicious damage to the National Bank ATM at the Industrial Site, Frigate Bay Road. According to a police report, the damage was discovered when employees reported to load the cash into the ATM on Wednesday. However, despite the damage, the perpetrator did not get inside the machine. The scene was processed by the crime scene unit.